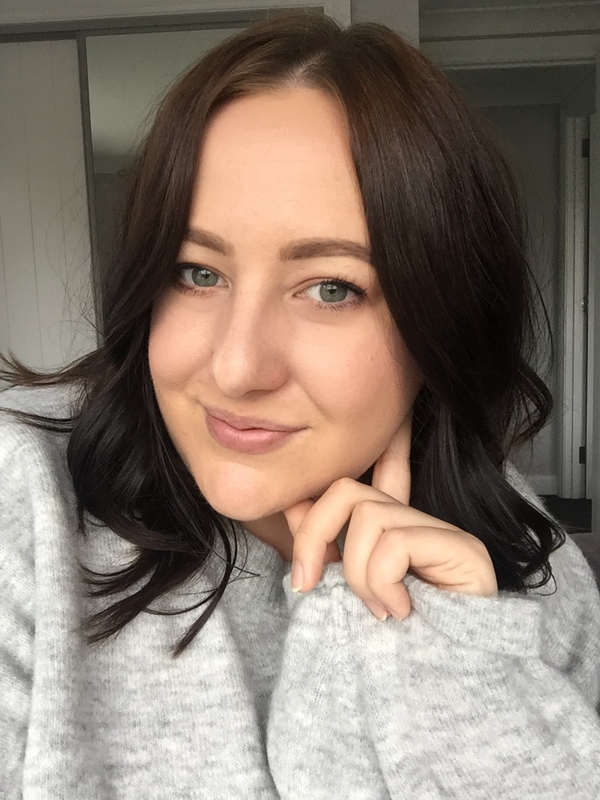 I am drawn to beauty and makeup; I like trying new makeup, I like writing about it and photographing it, hence why I write this blog! One makeup item I am always drawn to are eyeshadow palettes - there is something so aesthetically pleasing in having a selection of well curated shades with different finishes that just gets my beauty loving heart racing. 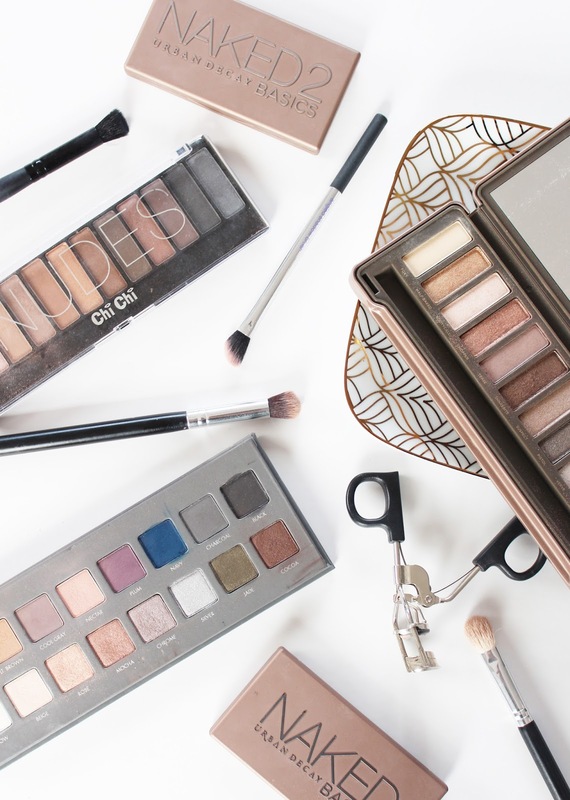 I'm not shy to admit I own a fair amount of palettes and definitely have enough eye shadows to last a life time (and some...), so I thought it was about time I shared some of the ones I absolutely adore and can't get enough of. 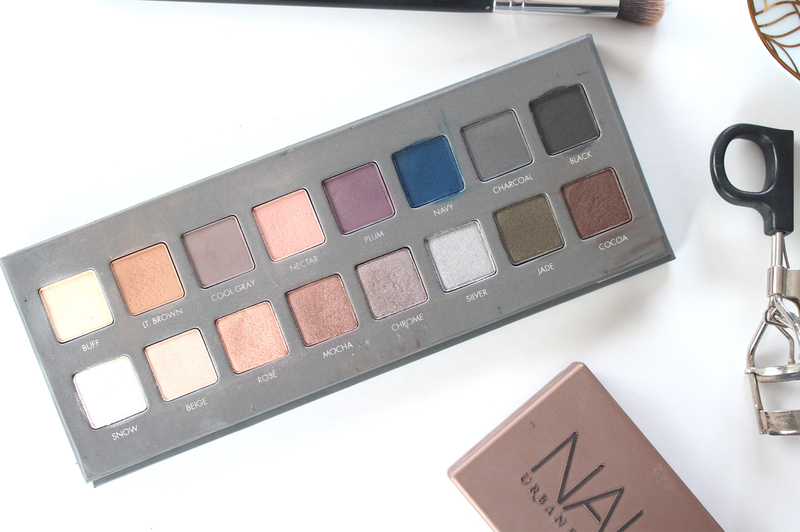 Urban Decay nail eyeshadow palettes and when I really started to get into makeup, the Naked range of palettes were always at the tip top of my wishlist. You can see a full review with swatches of the shadows here, but in a nutshell, any beauty lover needs to own at least one from the Naked range! They have great pigmentation and the range of finishes of the 12 shadows in this palette means it's perfect for travelling with, along with the sturdy tin casing. The shades I get the most use of are Chopper, Tease and YDK. I have a major soft spot for this palette (it might be my most favourite, but I can't bring myself to give it that label for fear of cheating on my other palettes!) The shades are incredible, very unique and different from my stack of neutral palettes. You get eight matte shades, and eight shimmer shades, and the pigmentation on these are out of this world (see my full review and swatches here). I like them a touch more than I do the Urban Decay ones because I find the mattes just so silky and smooth to work with. My most used shades from this palette are Lt. Brown, Nectar, Rose and Mocha. As you can see by my very messy palette, this gets a lot of use. You can see my full review with swatches of the shades here, and a comparison to the Urban Decay Naked (original) that looks very similar to this in the shade range. It has 12 shadows, with only two matte shades in it but the others vary in finishes. Now these aren't as pigmented as the Naked 2 or LORAC palettes, but it is a lot more affordable and readily available to buy for us NZ girls and you get a lot of bang for your buck with them. I love a lot of the shades in it, especially the first seven shades. 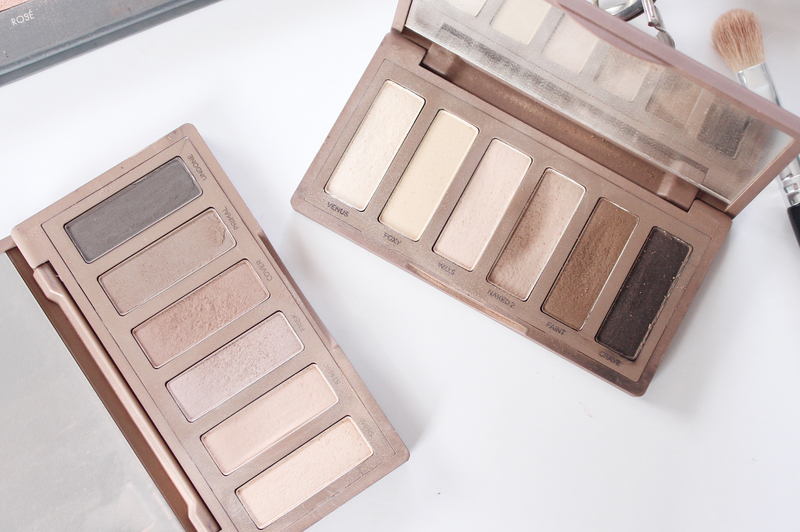 Pretty much every day I will reach for either of these palettes and when I travel I have to take one with me. 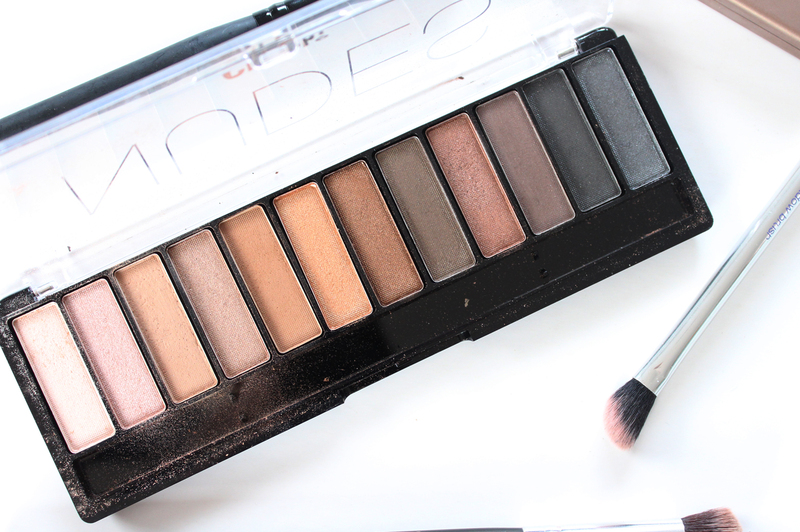 They are compact, with six shades in each (the Naked Basics has five matte and one shimmer; Naked 2 Basics is all matte), and they have such a beautiful formula to them. I will use these either as a base for other shadows, or just go for a full matte eye on an every basis. My most used shade is definitely Naked 2 from the original palette, as you can see by the big dip in the side! 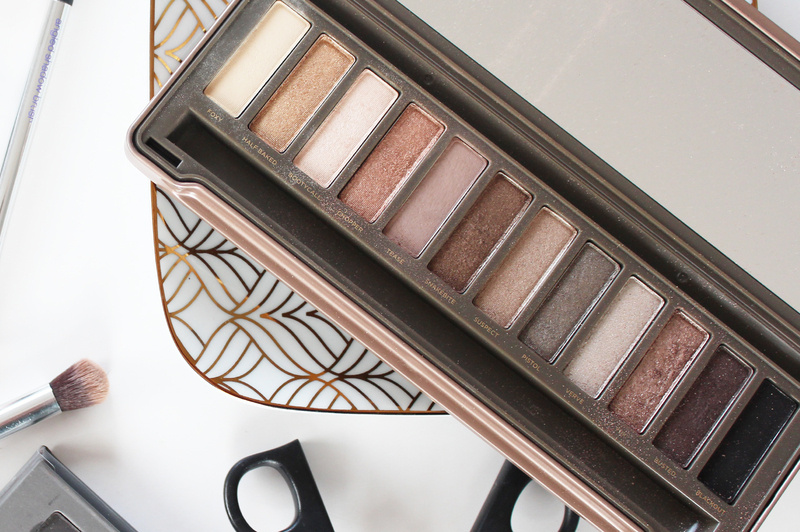 What are your favourite eye shadow palettes?! I definitely have a lot more I could share, but these ones rule the roost!